With 355HP and 332 lb-ft on tap, the Mercedes Benz CLA45 AMG is anything but slow. The all-new CLA45 AMG even has the highest specific output of any 4-cylinder currently in the production. 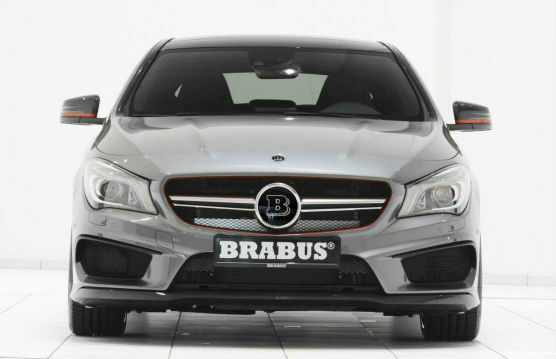 It was only a matter of time before Brabus looked at the CLA45 AMG and said: nahh, it’s just now powerful enough. Recall that base CLA45 AMG, which already produces 332 pound feet of torque and 355 horsepower courtesy of its modestly sized turbocharged 2.0 liter inline four-cylinder that gives it the ability to get to 60 miles per hour in 4.4 seconds. Given its $48,375 for stateside 4Matic four-wheel drive variant, many would call that a bargain for the performance stats provided. And it’s also the most affordable way to get into AMG-badged Mercedes Benz. So how could the German tuning house have improved on those power figures? Let’s check it out. Brabus tuned Mercedes Benz CLA45 AMG has been tweaked giving it an extra 37 pound feet of torque and 39 horsepower, bringing the final totals to 394 horsepower and 369 pound feet of torque from the 2.0 liter 4-cylinder turbocharged engine. Unlike the regular CLA45 AMG, Brabus claims that the 0-60 miles per hour time has been cut to only 4.2 seconds with the top speed of 168mph. 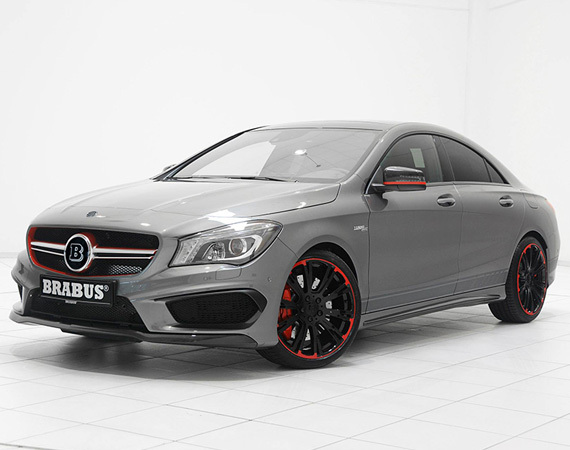 Brabus’ current efforts give the tuned CLA 45 AMG the ability to make the dash to 60 mph in just 4.2 seconds. The company also plans to give shoppers the option to raise the electronic limiter from 155 to 168 mph, an option that probably only makes sense in Germany where they’re allowed to have nice things such as derestricted autobahns. Brabus, being Brabus, has also tweaked the exterior of Mercedes Benz CLA45 AMG, though they didn’t go overboard like with some recent tuning efforts. The Bottrop, Germany based performance house’s CLA 45 AMG has received a carbon fiber lip for front bumper, a revised body kit with red accents, a range of wheel choices including 19-inch rollers and a rear window mounted spoiler it wears in the photos above. The changes to the interior are relatively minimal, with red accents on seat belts and seats, but as every car is built per order, the sky is really the limit when it comes to Brabus’ interior personalization efforts. 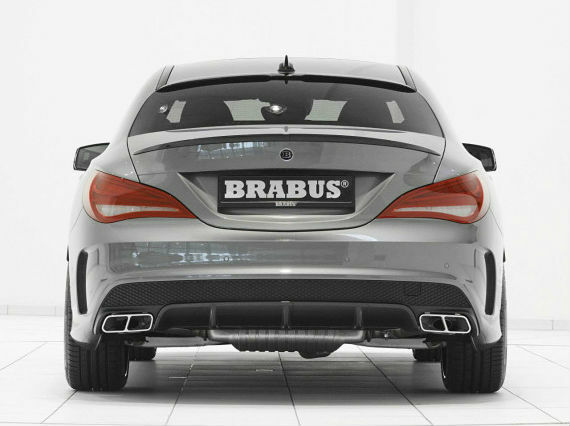 Brabus has yet to release pricing for this model, but we will let you know as soon as Brabus’ representative office in the U.S. publishes that information.